Did you ever wish to create music with a music creator in an easy and simple manner? Have you ever noticed that most of the music maker apps on the market are neither intuitive, simple to use, or just don’t have the features you really need as a composer? How many music writing apps have a truly excellent midi scrubbing feature to allow a composer to listen to a score without actually playing the score? Do you know of any music writer app that has an awesome semi realtime recording feature? The thing is, Music Jotter was written by a composer. It is no wonder this music composition software will flow smoothly and just make sense. Sheet music creation easier than all the competition (with mouse, typing keyboard or midi keyboard). Just see our micro videos for a quick idea on what Music Jotter can do! We host our own sampler and virtual midi driver (coming soon) so you can load VST instruments, VST effects and soundfonts with amazing speed! The bottom line is that you don’t need a dedicated midi sequencer if you choose to compose with our music notes software, Music Jotter. 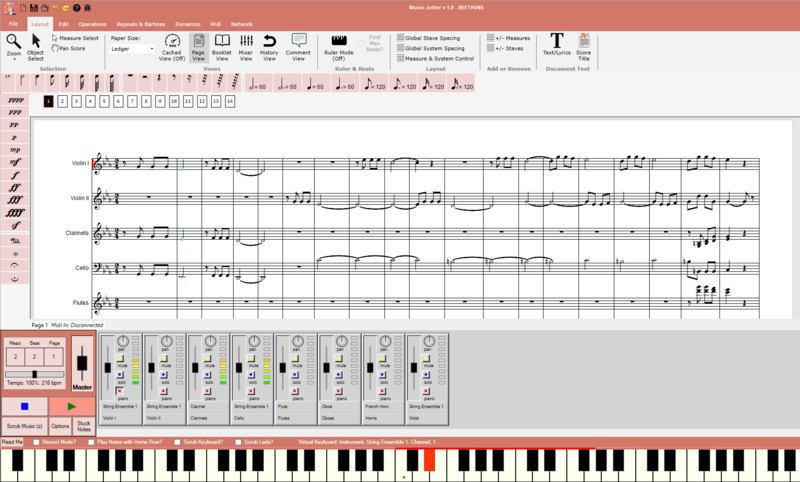 Music Jotter is a music notation software, midi editor and music sequencer combined. Even if you choose not to play midi via a keyboard, you can use our realistic playback feature to simulate your sheet music playback with a human feel. And it really works.We also have VST support (coming soon), and a Music Jotter Synth virtual midi port which will be bundled with our song notation software. If you use our midi out port, this will allow you to load your own soundfonts, or VST effects and instruments for an even more realistic sounding musical score. Music Jotter has a long list of convenient features to offer! When it comes to price, its highly reasonable and cost-effective. You can cover the cost in just one total payment of $249.99. And if you don’t wish to purchase our music notation program online, we also sell physical copies on Amazon. So place your order today and buy musical notation software to help you with your music writing. 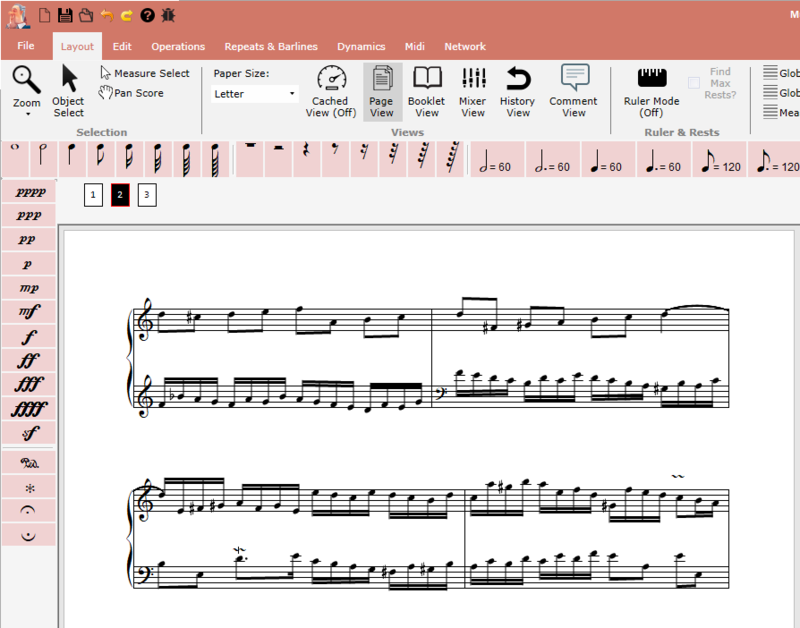 Music Jotter is a simple to use music notation software that is aimed for the serious hobbyist. The software now works on multiple windows platforms, Windows XP (SP2) / Vista (SP1) / 7 (SP1) / 8.x / 10 (both x86 and x64).